Gaming Channels - Where Do You Share/Promote? For those of you who run gaming channels, I'm curious where you go about sharing/promoting your content. Which locations have provided you with the best return on investment? From which locations have you gotten the most positive feedback? Ultimately, I'm trying to find some new avenues to share my content and am curious where you may have found success. Thank you! I agree with Reddit. My viewer retention on views from there is less than half my normal retention. High view count but low retention doesn't seem to be doing me many favors. Interesting call on Google+ - I'll have to look into that more. I use Twitter and I'm trying to get better at it, though admittedly I didn't begin using it until I actually had a channel so my following is small. Im trying to do as much as I can so im on twitter, facebook, google+ and yttalk, Im looking at other places like reddit but the more time you put into each thing and more research you do the easier it will be, twitter and facebook is hard as people have to follow or like your page and to build that is hard. Do not bother with reddit, it is a waste of time and everyone posting videos is instantly branded a "self promoter"
I hoped to get some people in the gaming subreddit to check out my first gameplay and give me some pointers, because most of those folks should watch gameplays right? 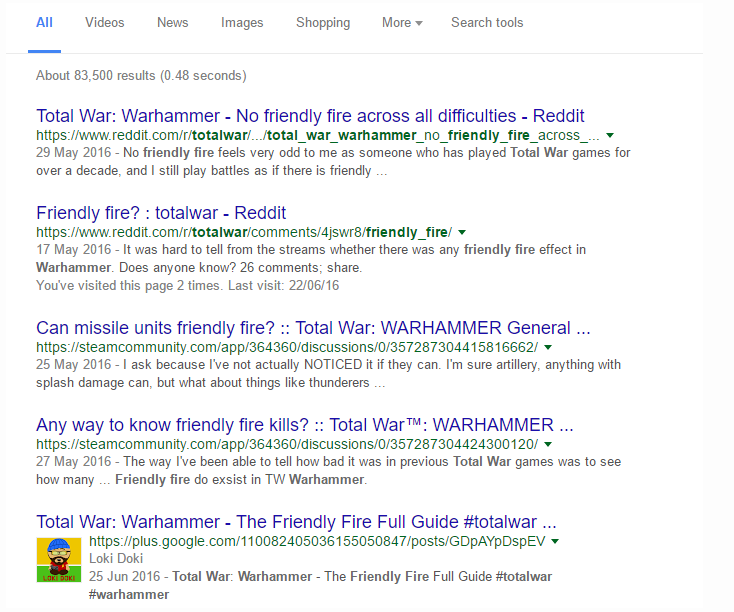 Nope, got a link to the self promotion wiki from one of the mods there and that was it. I actually read that before I posted, and did not feel it was self promotion. I honestly don't give a rats booty if the channel succeeds or not since it is a side gig. But it would have been nice to have some tips and tricks from the community there.